Every industry produces waste, and it could be argued that allowing the food to rot into the ground nourishes the soil, helping to keep it fertile and productive. But that is to disregard the wasted inputs used to create this luxurious would-be fertiliser – all the chemicals, the water, the fuel and the labour and its associated resource footprint – allowing the food to rot is wasting so much more than just food. It was mentioned in a recent Jamie Oliver show featuring the Gleaning Network, that farmers typically grow around 10% more than they are likely to sell. But that should be taken in context – that’s a farmer supplying supermarkets, where absurdly strict cosmetic standards are imposed on the farmer. It’s these standards that contribute greatly to taking the amount of food wasted well beyond that 10% mark. Another factor is supermarket forecasting and cancellations, which I won’t into here. Essentially the supermarkets have engineered a system that benefits them greatly, but at the expense of all other parties – farmers, the environment, communities and consumers. 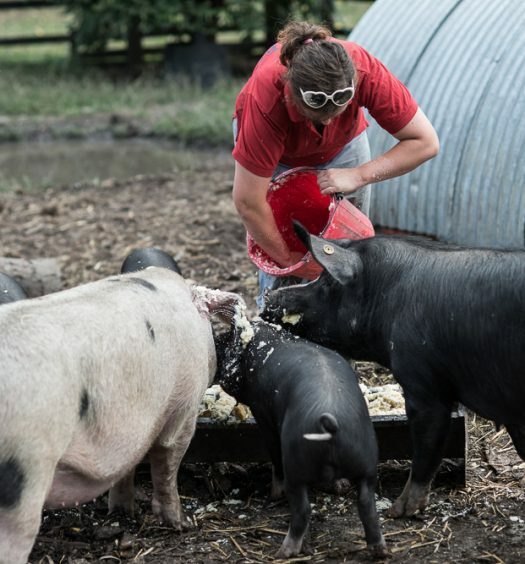 This is where the Gleaning Network comes in – addressing on some level, the consequences of this deeply flawed system – visiting farms post-harvest to gather up fruit and veg that would otherwise go to waste. 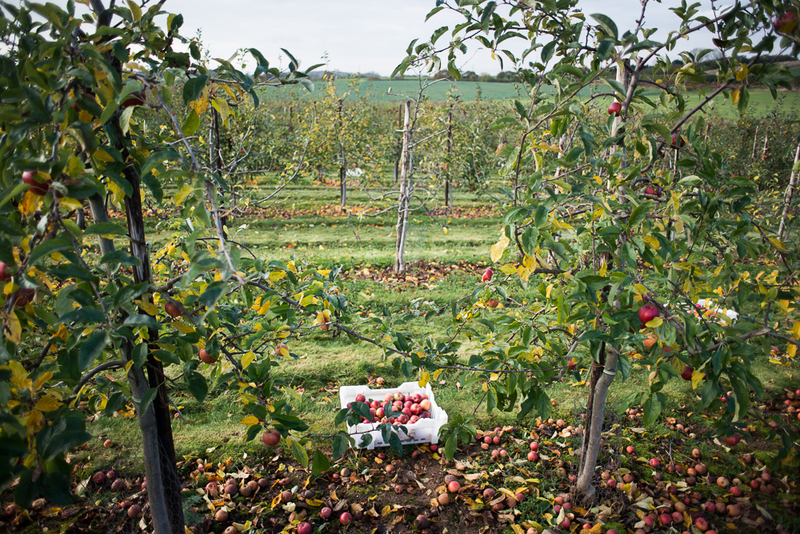 On this occasion, on a beautiful sunny day at the beginning of November 2014, they were visiting a farm near Birmingham where, in the eyes of the supermarkets, a field of organic apples had not made the grade. Apples such as those in the image below! You wouldn’t be alone if you were to think ‘But why – what’s wrong with them?!’. There in lies the issue – perfectly edible, nutritious food is being wasted for no good reason at all. But waste of any kind is another person’s treasure, and waste generated by surplus food is no different. More and more non-profit and for-profit initiatives are sprouting up all over the country – capitalising on the opportunity to tap into free or cheap sources of food, which they can then convert into meals, juices or snacks. During this particular gleaning session, The Gleaning Network were hosting two such initiatives – Bristol-based Skipchen – a pay-as-you-feel café, that’s part of The Real Junk Food Project. Skipchen is a not-for-profit, volunteer run café that gathers food from supermarket skips, as well as farms such as the one I visited. It’s great that Snact, Skipchen and the many other great initiatives out there are all working to help reduce the amount of edible food that goes to waste, and all run by people who are passionate about creating positive change and addressing some of the injustices of the current food system. But at the same time I can’t help but feel it would be great if this particular market weren’t so fertile – if there wasn’t so much surplus food in the first place, and that the system functioned more efficiently and equitably! Visit Snact and Skipchen sites for more details on the initiatives, and be sure to sign up to The Gleaning Network and volunteer on one of their future gleaning sessions.